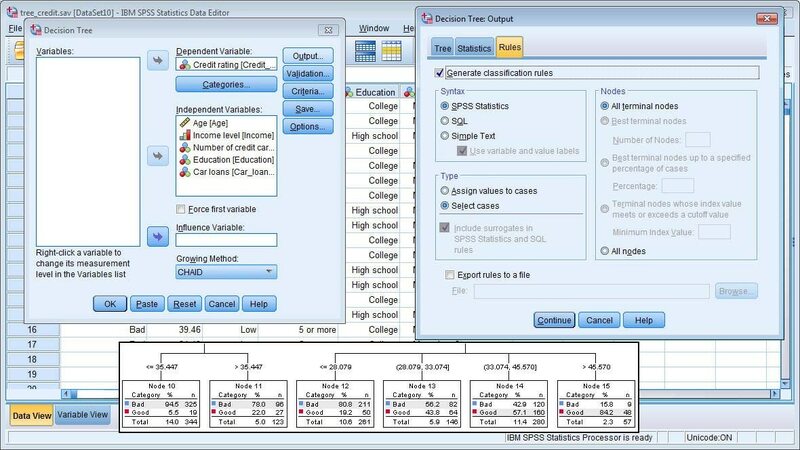 IBM® SPSS® Decision Trees enables you to identify groups, discover relationships between them and predict future events. 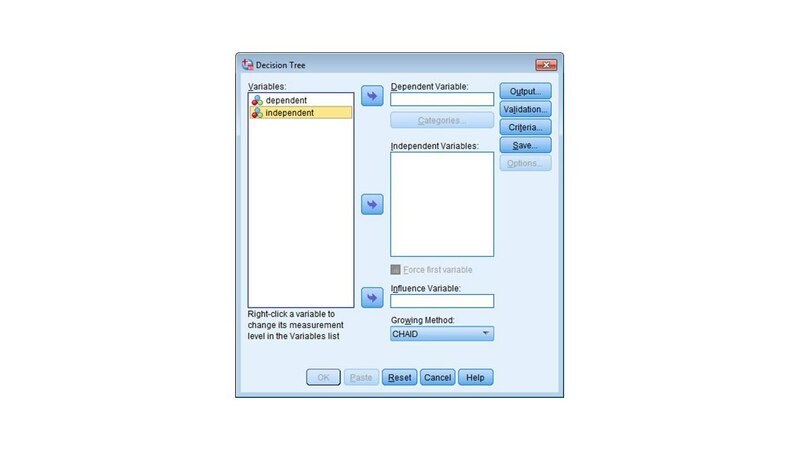 It features highly visual classification and decision trees to help you present categorical results and more clearly explain analysis to non-technical audiences. 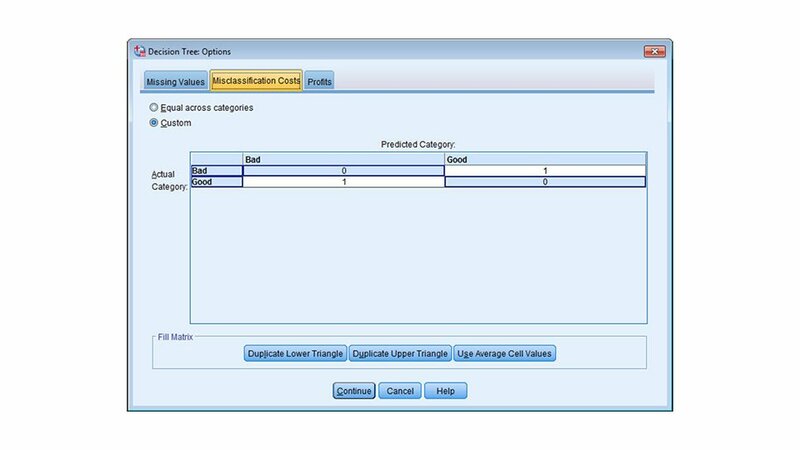 The module allows you to create classification models for segmentation, stratification, prediction, data reduction and variable screening. You can also create models for interaction identification, category merging and discretizing continuous variables. 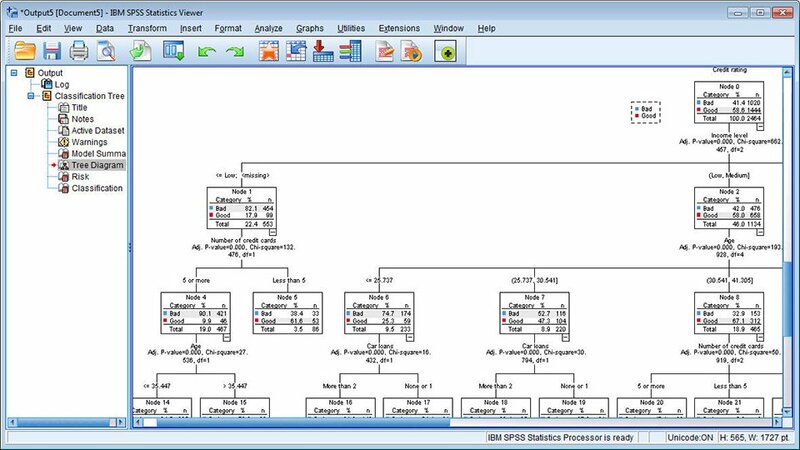 Create highly visual trees that present data in branches and nodes. 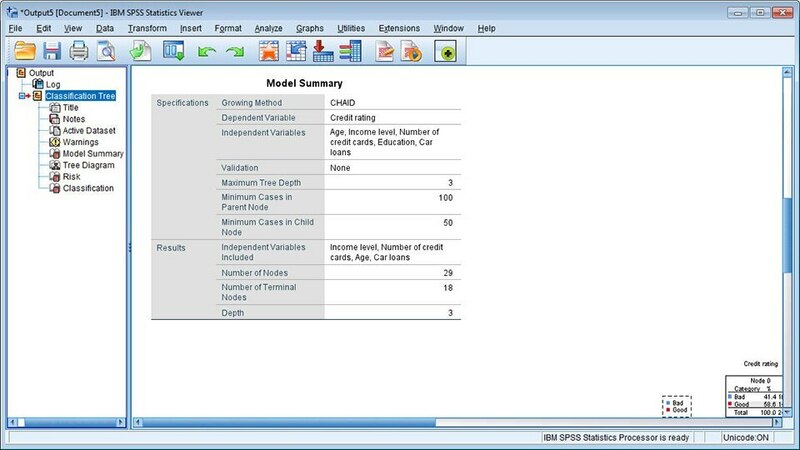 Explore results and determine how your model flows. Find the best fit for your data by trying different algorithms: CHAID, Exhaustive CHAID, C&RT or QUEST. 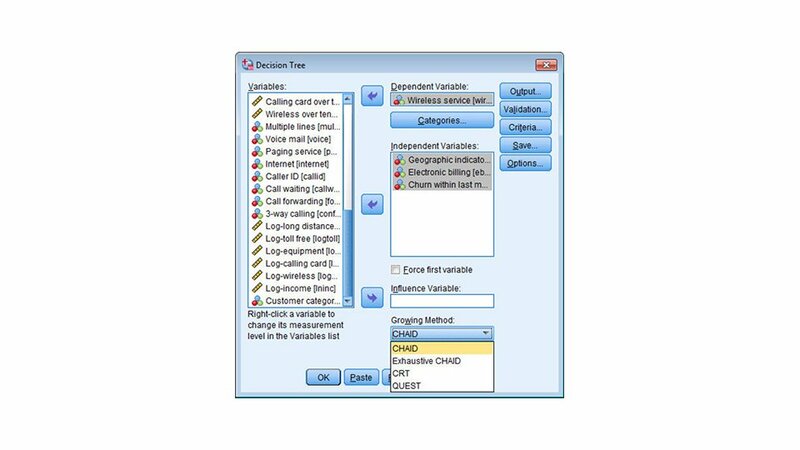 Gain more insight by identifying a particular subset of your data using the tree diagram and running further analysis on this group. Save information from trees as new variables such as terminal node number, predicted value and predicted probabilities.